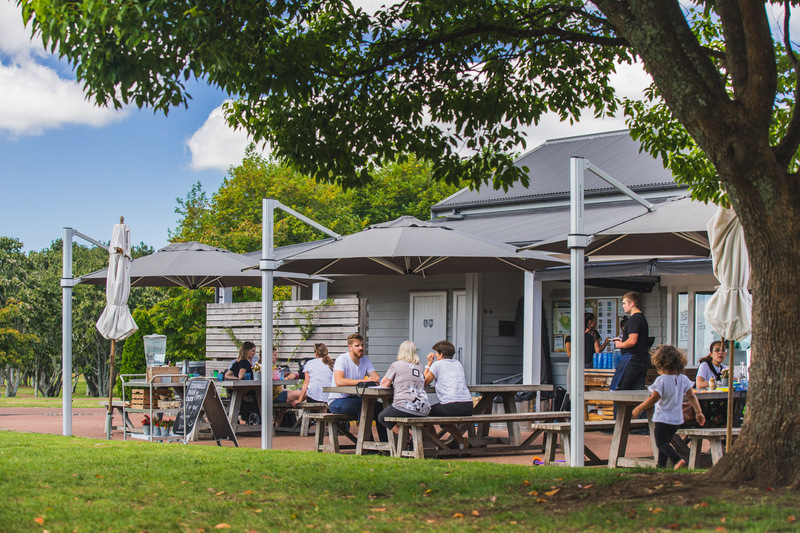 It’s no secret that kiwis love outdoor entertaining, particularly over summer with our beloved BBQ. Evidently this means that the outdoor space of a kiwi home is becoming increasingly important. Home owners desire a seamless outdoor transition from the indoors to what is now effectively an outdoor living room. 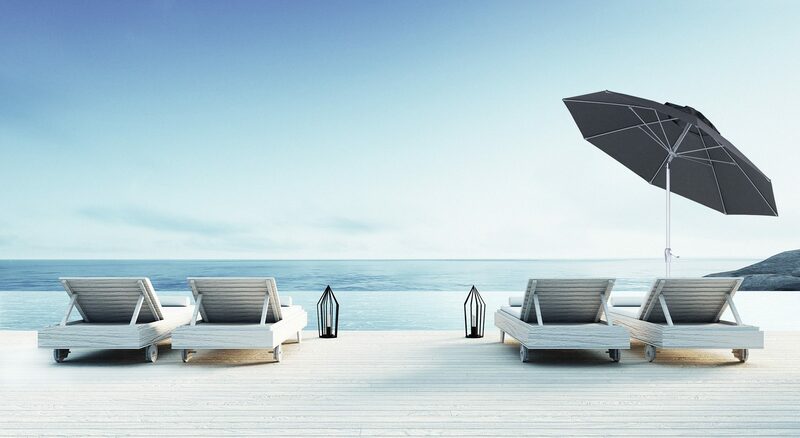 In creating the ideal outdoor living room, a popular trend has been the inclusion of multiple outdoor umbrellas to act as sole shade coverage. 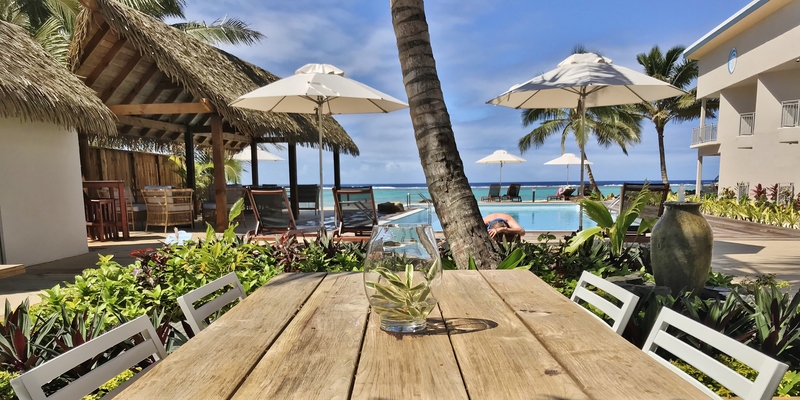 Kiwis love the sun, but we also know how harsh the UV rays are here and we need the flexibility to alternate between the sunshine and shade. 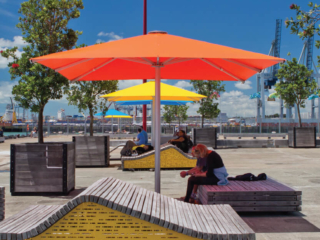 Outdoor umbrellas offer a simple yet effective and economical solution between the two desires, without having to go through any council resource consents as for a permanent structure. Either one or all of the umbrellas can be up or down and you get to choose that yourself depending on the weather that day. 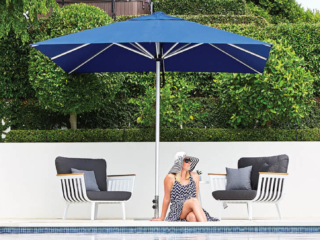 New Zealand company Shade7 specialise in outdoor umbrellas and have engineered and designed some of their own umbrellas too. They understand that when it comes to your outdoor living area, function is just as important as style. 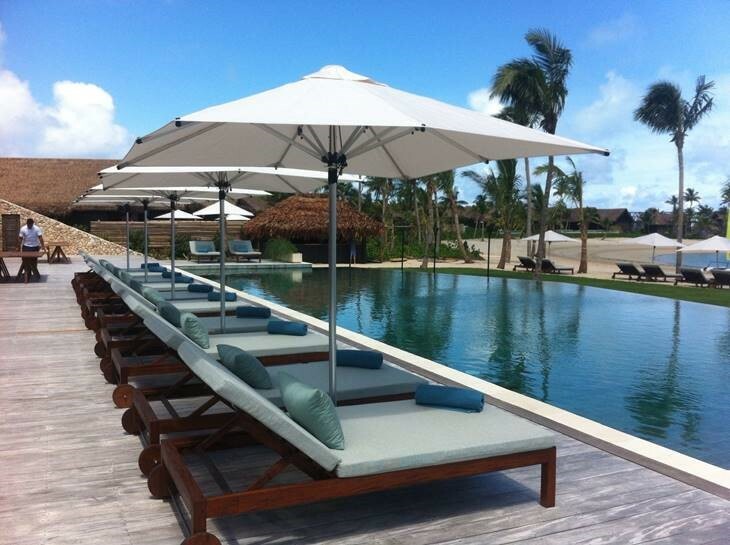 Their top selling Riviera cantilever umbrella is one they’ve designed themselves. 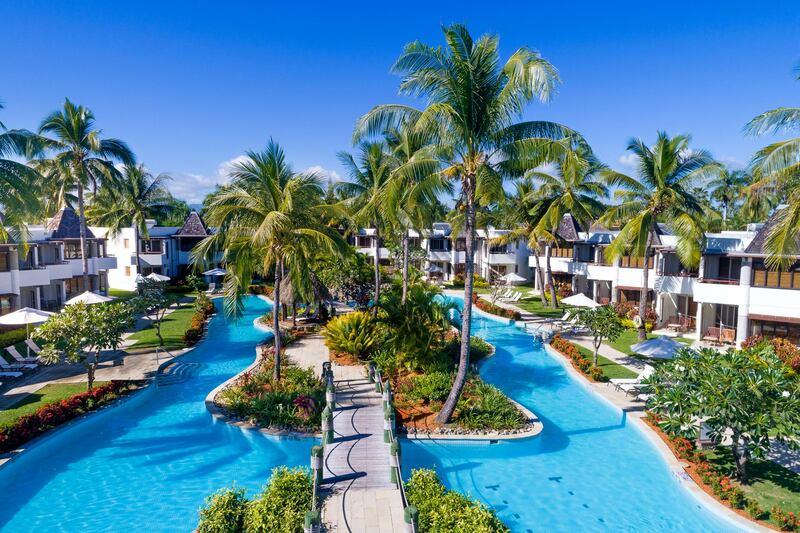 It has been popular both nationwide and across the Pacific Islands in resorts, cafes and restaurants. 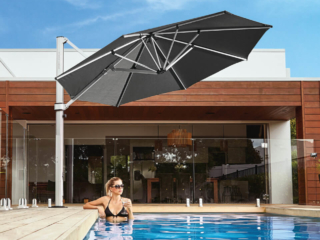 What separates this large cantilever umbrella apart from your standard centre post umbrella, is not only the extra space gained underneath it but also its ability rotate and tilt. 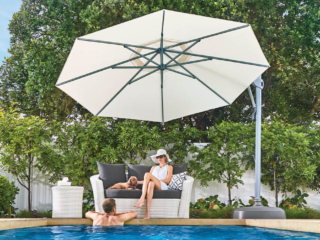 The Riviera cantilever umbrella certainly offers much more than your standard outdoor shade structure which has been a factor in the uptake of this outdoor living room trend. 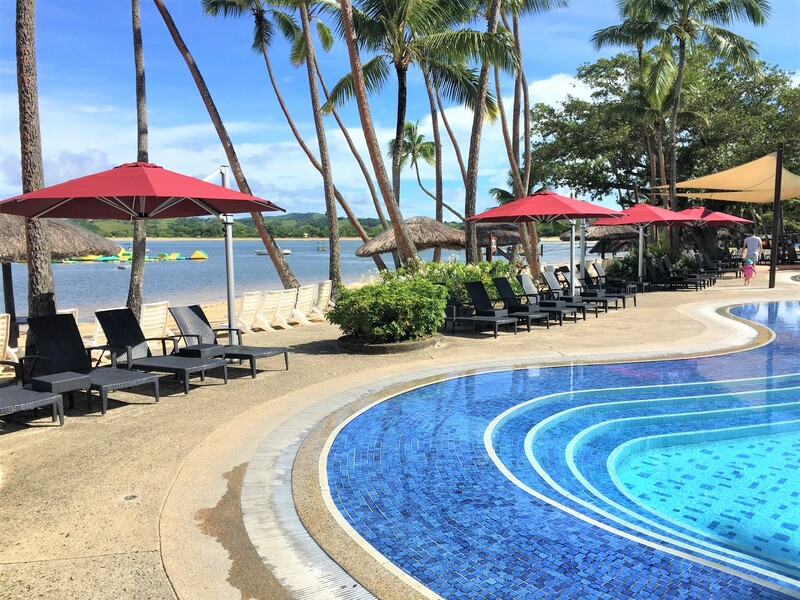 The Riviera rotates completely 360 degrees giving accurate flexibility over where your shade falls. 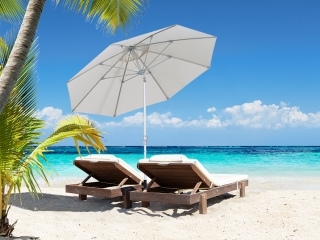 It therefore allows you to alternate between shade over two adjacent spots, such as a pool and patio. 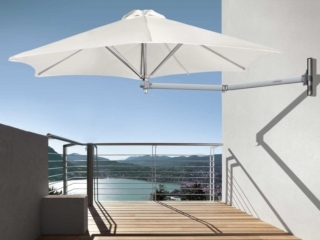 It has also been designed to incorporate multiple tilt settings so that the umbrella can be angled to combat the moving sun throughout the day. 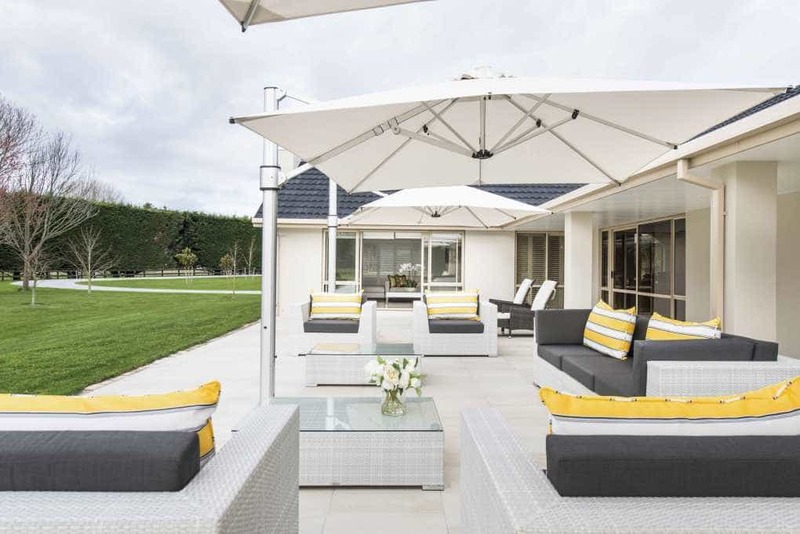 There’s no other shade product that offers quite that flexibility and outdoor umbrellas are increasingly making a design statement in homes across New Zealand. 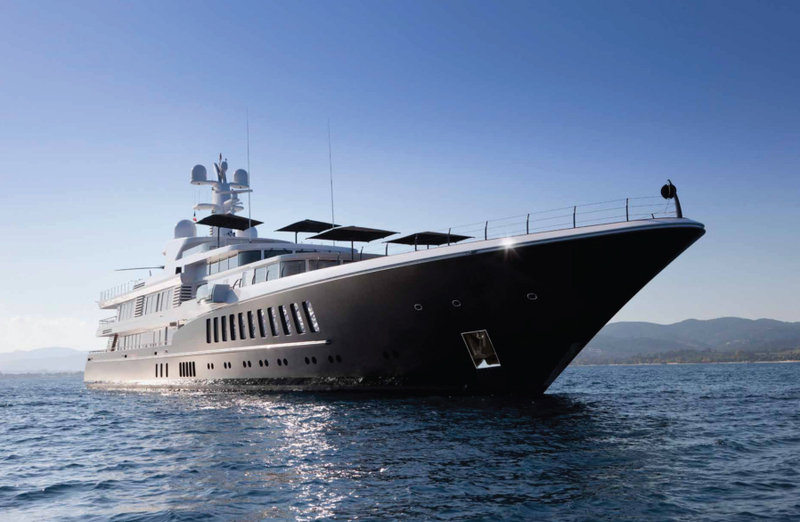 Shade7 have created a video to demonstrate just how flexible and functional the Riviera is. 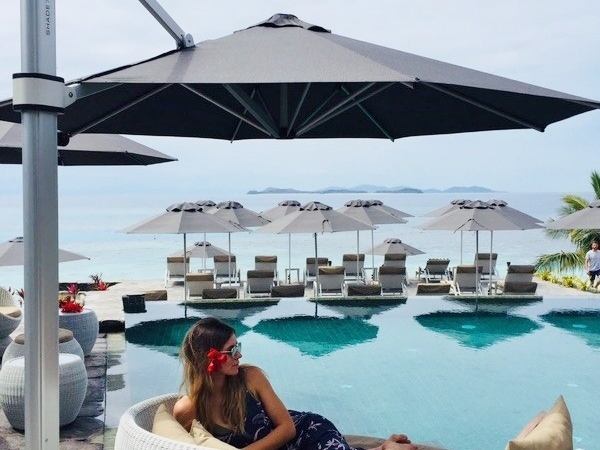 From a design and décor point of view, the current colour trend is to select a complimentary umbrella canopy colour to match the house and outdoor patio area. This aids in continuing the subtle transition from indoors to outdoors, with a style similar to the indoor living room. Our homes are usually an extension of ourselves with our own personal style and emotions, and the outdoors is no exemption. Neutral and earthy tones are currently most sought after and as the umbrellas will last many years, it’s preferable for your colour choice to stand the test of time. 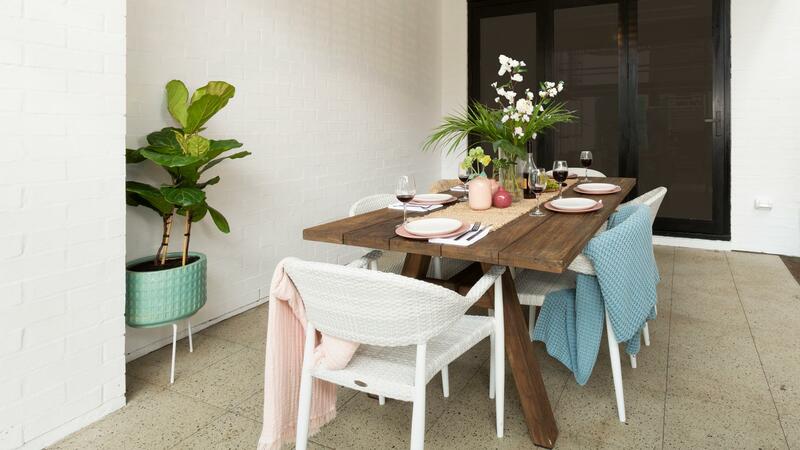 Many New Zealand homes are adopting this style when creating their own outdoor living room. 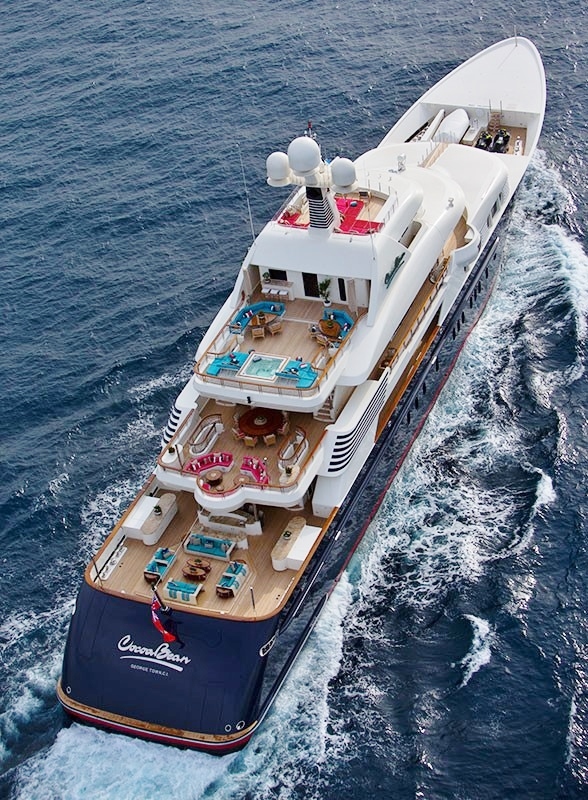 For inspiration on creating your own outdoor living room contact Shade7.